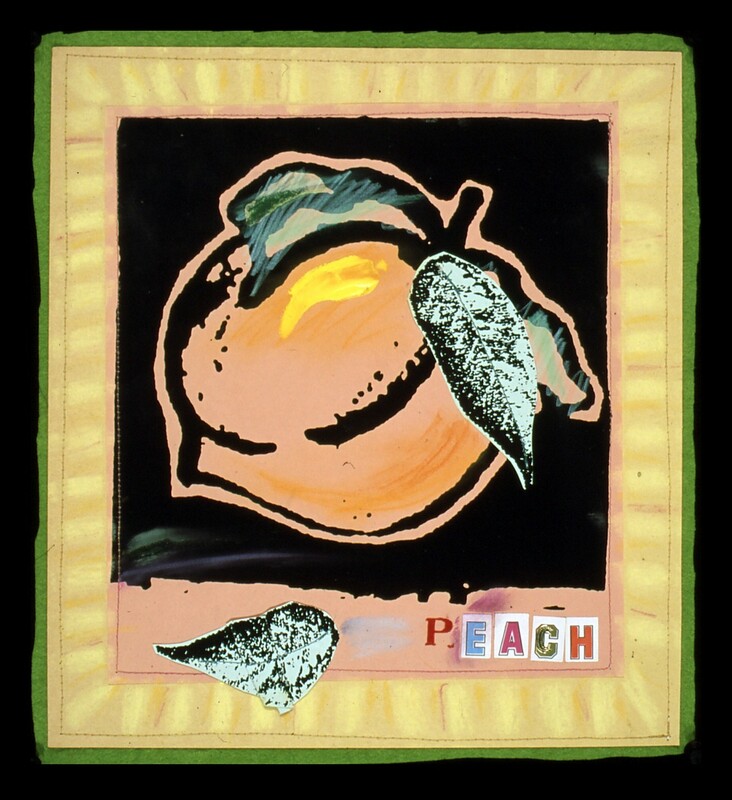 I started by making a very small ink drawing (under 2″ square) of a peach on very course water color paper. I enlarged it on the xerox machine to bring out the course texture and sewed on enlarged xeroxes of actual leaves. I added cheesy letter stickers, sewed the layers onto felt and added some acrylic paint touches.